Royal Dutch Shell announced it will sell its stake in the deepwater Caesar Tonga field in the US Gulf of Mexico for $965 million in cash to a subsidiary of Israel's energy conglomerate Delek Group. 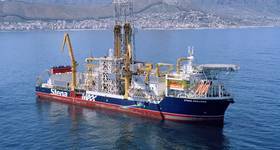 Company unit Shell Offshore will sell its 22.45 percent nonoperated interest in a deal, which is likely to close by the end of the third quarter of 2019, with an effective date of January 1, 2019, the supermajor said in a statement on Thursday. Delek Group said in a separate statement it will finance the acquisition through non-recourse loans from international banks against the asset, along with its own funds. Caesar Tonga, located approximately 300 kilometers south-southwest of New Orleans, in the Green Canyon area of the Gulf of Mexico, is operated by Anadarko Petroleum, which holds 33.75% interest. 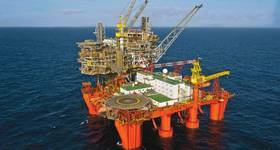 Other partners include Equinor (23.55%) and Chevron (20.25%). Among the 10 largest deepwater resources in the US Gulf of Mexico, the Caesar Tonga field has an estimated resource base of 200 to 400 million barrels of oil equivalent. The development area covers blocks GC683, GC726, GC727 and GC770 at water depths of about 1,500 meters. The field contains eight wells connected by an undersea pipeline network to Anadarko’s Constitution spar floating production facility in block GC680, which transports the oil and gas through an existing pipeline to the coasts of Louisiana and Texas. Production from the Caesar Tonga field commenced in 2012, and current total gross production is approximately 71,000 barrels of oil equivalent per day, with 90% of the output being oil. The expected life of the field is 30 more years, and Delek Group's interest reflects 78 million barrels of oil equivalent (2P) reserves assuming no change in the current production rate, the company said, adding its share of the asset generates annual EBITDA of approximately $230 million. Asaf Bartfeld, President and CEO of Delek Group, said, "This is an important opportunity for Delek Group, which provides access to a producing oil asset with stable output since 2012, significant proven reserves, strong cash flow, and partnership with leading players in the global energy market." "The transaction for acquisition of the rights in the Caesar Tonga field is a further important stage in implementing Delek Group's strategy to expand and establish our operations on the international stage. This is a strategic opportunity, which provides the Group access to a producing oil asset with significant proven reserves, with a strong cash flow and partnership with leading players in the global energy market. This activity, alongside the oil and gas exploration activity we are carrying out in the North Sea and the Gulf of Mexico, gives added emphasis to the Group's position in the international energy market," Bartfeld said. 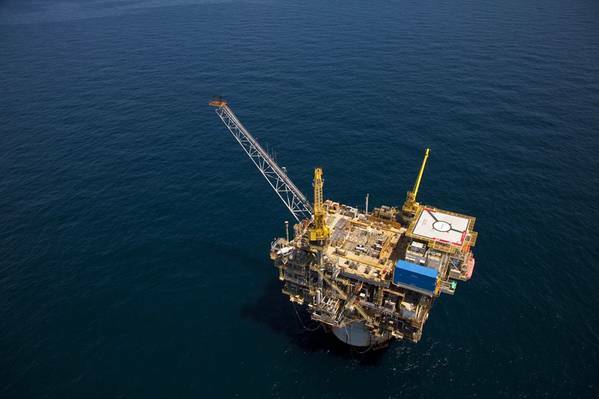 As part of the transaction, Delek Group said it will sign a long-term off-take agreement with Shell Trading (US) Company to purchase oil produced from the field for a period of 30 years at either market prices or prices matched to third party offers. For Shell, the sale is the latest in a three-year, $30 billion divestment plan that began in 2015 after the takeover of BG Group.